AMURU – More than 100 charcoal dealers have been arrested for engaging in illegal charcoal trade. On Wednesday, Michael Lakony, the Amuru District chairperson, led a combined security team comprising soldiers of Uganda People’s Defence Forces (UPDF) and the Uganda Police Force. They rounded up the dealers who were in several makeshift settlements they had established in the forests to destroy trees. The raided settlements were in Okidi Parish, Atiak Sub County, the biggest hotspot where illegal charcoal business has persisted. The security personnel used petrol to burn the makeshift shelters and the more than 2,000 bags of charcoal. Pleading with security, the traders who were arrested said that they operate under associations and are ignorant about the legal procedures for dealing in Charcoal business in the region. Amuru RDC directed Felix Tumwesigye, the Police Officer in Charge of Criminal Intelligence and Investigation at Amuru Central Police Station, to transport the arrested dealers to Amuru central Police station for further investigations. She accused them of contravening the National Forestry Act. 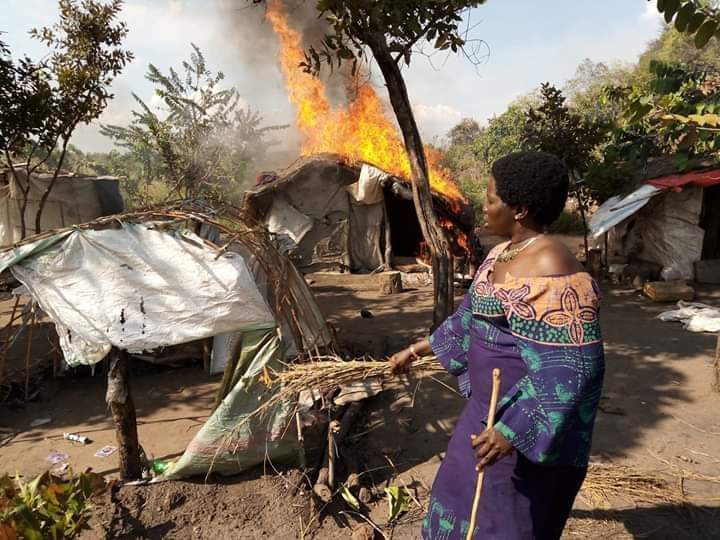 Lakony said that they resorted to destroying the Charcoal after realizing that seizing and auctioning had become inefficient in curtailing the booming charcoal trade. Amuru district has so far realized more than 1.5 Billion Shillings since 2016 when the district council passed a resolution banning unlicensed commercial Charcoal business in the district. The district has been seizing and auctioning the illegal goods. As global crude oil prices continue to rise, majority of households in East Africa still depend on wood and charcoal as a primary energy source which has increased logging – illegal and legal that clears large amounts of forests. The 2015 National Charcoal Survey for Uganda, concluded that vegetation cover significantly reduced from 45 percent in 1890 to about to 11.7 percent in 2013 due to the ever increasing pressure and demand exerted by the rapid population growth and economic activities. Kenya’s forest cover is rated at 5.3 per cent. Between 1990 and 2000, Kenya lost an average of 12,600 hectares of forest per year.